It’s extremely rare for me to have a personal connection with somewhere I share on LA-normal. Beyond a scarce nostalgic memory, most places that I feature hold little sentiment and are staffed with complete strangers. Sure, I have had those random run-ins where you walk into a place and find out you had a class with the bartender ten years ago or vaguely remember meeting the waitress at a party sometime way back when but in general the servers, owners, even patrons are all unknown, nameless faces that I run a high probability of never seeing again. This, however, is not one of those cases. 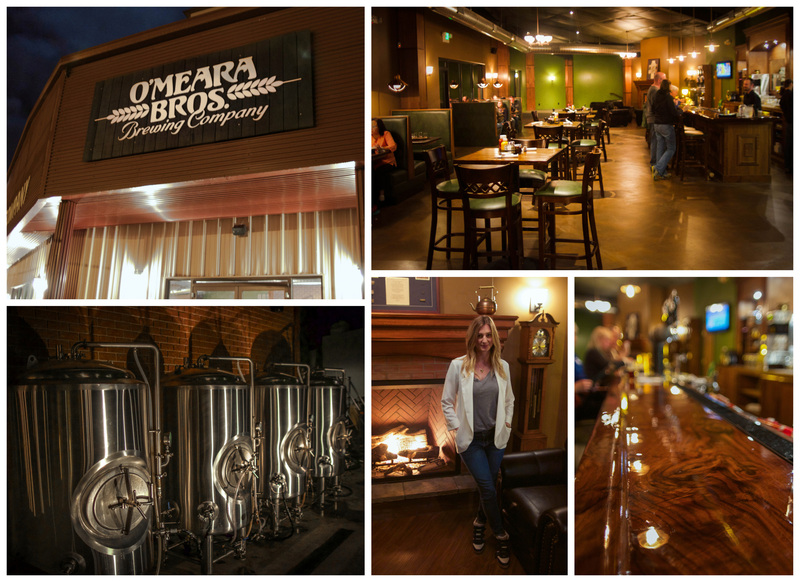 I was privileged with the opportunity to preview the much anticipated O’Meara Bros. Brewing Company, a soon to be hotspot in my hometown. 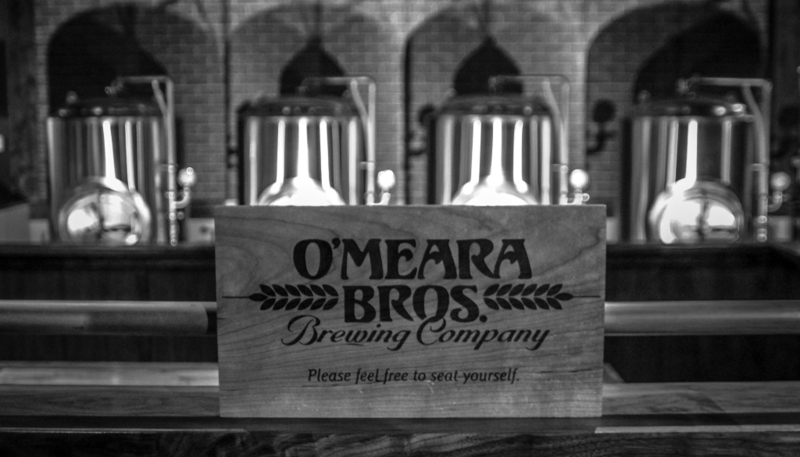 O’Meara Bros. Brewing Company is a brewpub developed from the collaboration of two brothers, Alexander and Tim O’Meara, who I have known since birth. Interesting side note, our mothers happen to be besties. I do not know any friendship that has lasted as long as our moms has. Their mom knew my mom before my mom even knew my dad so you know, hundreds of years. Not to go too much off track from the point of this post, I feel it only appropriate to share a visual at this time that illustrates how far back Alexander and I go. Just for fun and because I can, I give you Alex hanging out in my living room back when corduroy was the fabric of choice and he still required assistance to stand up. I’m sorry and you’re welcome. When I first heard that the brewery was developing I was ecstatic. I love my little Northern California hometown of Lakeport, but it has been in dire need of something fresh with substantial quality for quite some time. After a long haul of anticipation, with the grand opening around the corner, my parents, Ryan and I were extended an invitation to a sneak preview and we jumped on it. 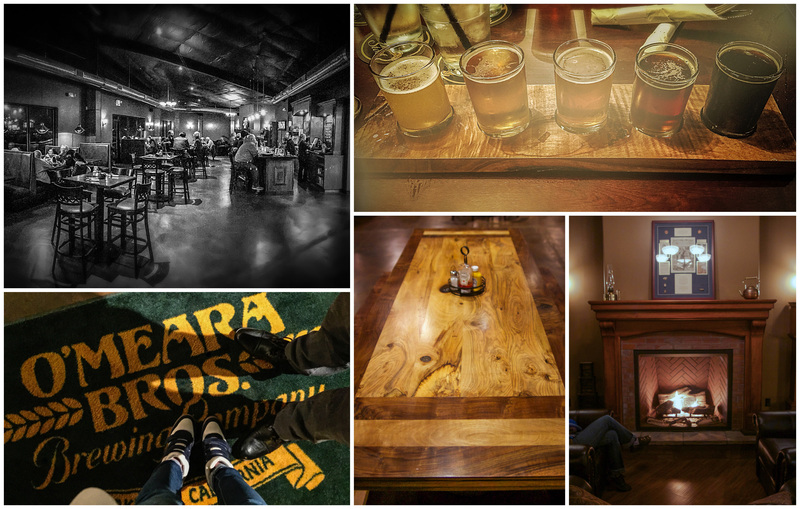 Ordering as much of the menu that we could consume and taking time to tour all the details in the decor, I came to what I can honestly say is an unbiased conclusion that the O’Meara brothers have created an ambitious and promising enterprise. 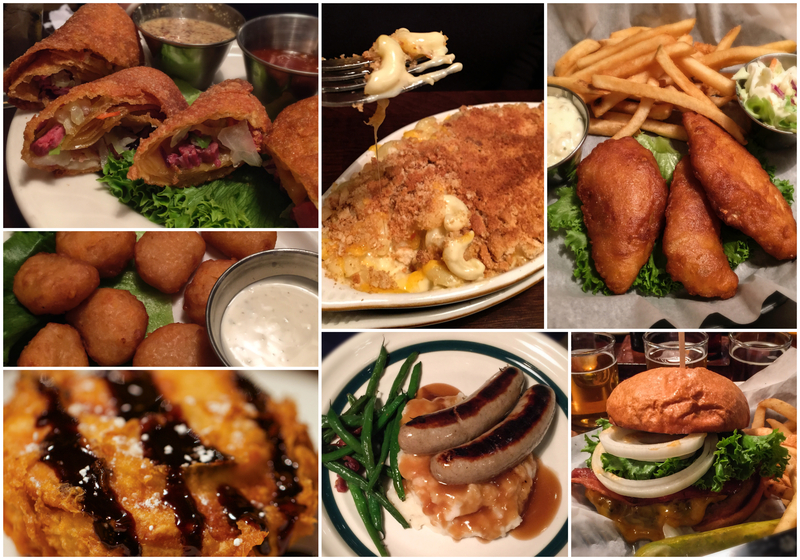 The menu covers pub classics and unique sort of “novelty” items including Fried PB&J and an ice cream stout float. We started with the Irish Egg Rolls, an item I foresee becoming their signature beer bite. Corn beef and cabbage rolled and ready to dip in a variety of sauces, including a surprisingly well paired Thai Chili Sauce, these were an unanimous table favorite. Moving onto appetizer number two, we tried the deep fried Mac and Cheese balls. You can’t really go wrong with fried Mac and Cheese, although I did not love them as much as I loved the egg rolls. For our entrees we all went in different directions in an attempt to cover all the basics. My father had the Bangers and Mash, which looked delicious and he completely cleaned his plate so there’s that endorsement. My mother went with the Baked Marymac mostly because it’s named after their mom but also because it’s macaroni and cheese served in the plate they bake it in with optional BACON. So good. Ryan had the burger which he described as “classic” and was huge enough for left overs, which were also tasty. I had the Fish and Chips, something I for some reason always feel obligated to try when visiting somewhere for the first time. A lot can be said of a place from their Fish and Chips. I can say that it will be hard for me to want to order anything different next time, after the egg rolls. The obvious shining star of the whole establishment is the beer, it is the purpose behind the company. To attempt a home brewed keg of beer from a kit you assembled in your bathroom takes great interest. To succeed in the art of beer making at a level that people will pay to drink your creation takes passion and dedication. Not only am I happy to pay for this beer I would probably pay more than what they are charging, to be honest. Ryan and my dad both ordered the flight sampler which allowed them to taste every beer on tap. Although each brew was a great presentation of whatever spectrum it represented on the beer-o-meter, for the gentlemen, the darker beers seemed to weigh favor over the lighter. 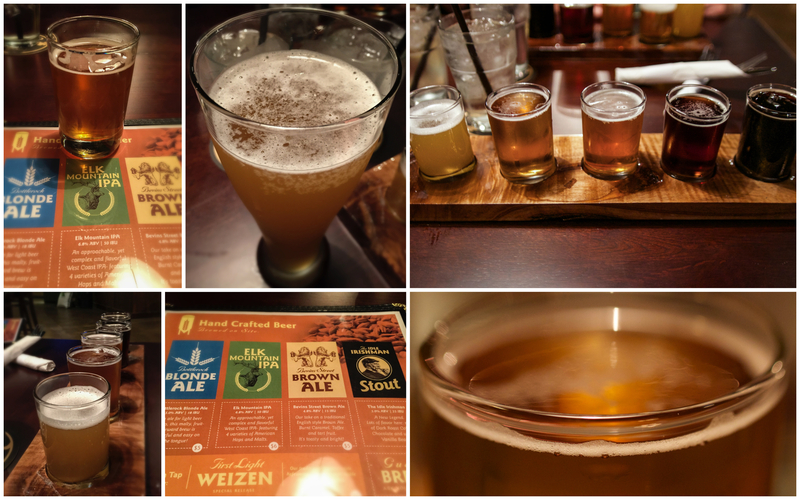 Although I did really like the Bevins Street Brown Ale, I am a light beer girl and seriously loved the hefeweizen. 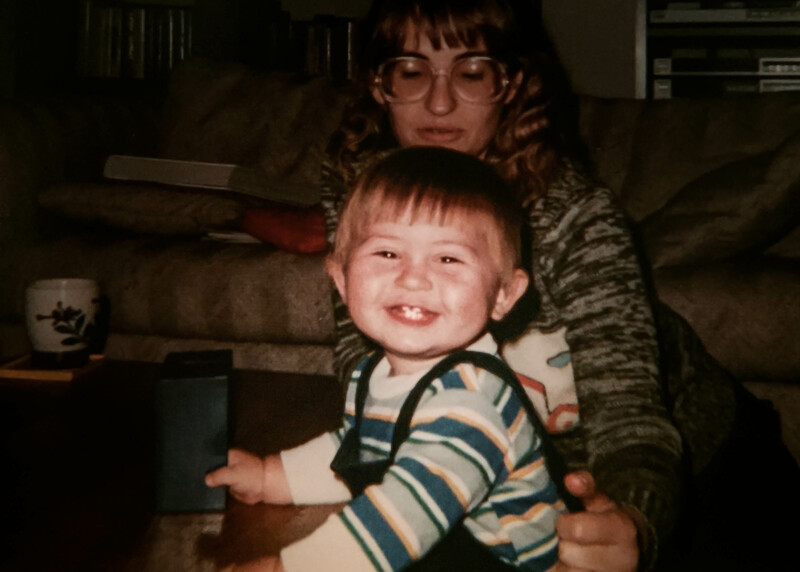 It is always my beer of choice and their “First Light Weizen”, a special release, is as my dad put it, “one of the most interesting beers I have ever tasted.” Even my mother loved it and she is far from a beer fan. She is more likely to go with one of the options off the wine menu. Did I mention they also have a local wine menu? Beyond the great food and drink, I really have to give them serious credit on every detail they put into the entire structure and design. Showcased beer tanks greet you as you walk in, with nothing but a half wall separating you and your pint of beer from hundreds more being made. A handmade solid walnut bar top made from a tree cut down on their own property glistens under the gently dimmed lighting. My personal favorite detail is the walnut flight trays, also handmade, each one different from the other like little wooden snowflakes that you drink beer off of. So awesome. The stage at one end of the restaurant is ready to host many a local band, including the Gnarly Pints and The Kentucky Jugglers performing for their grand opening this Saturday, December 6th. And best of all, the fireplace surrounded with over stuffed leather furniture, where you will most likely find me the next time I visit home. Major props to you guys. I raise my glass to you both, cheers to your future success and to one hell of a hefeweizen.